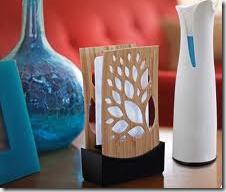 Free Glade Expressions Oil Diffuser and Refill with Glade Jar Candle Purchase for $0.66 at Target! Target is having a deal for Glade Candle,combine the Manufacturer Coupon with Target Coupon to crab the item for $0.66! 1.Buy 1 Glade Jar Candle, 4 oz for $2.99. 2.Buy 1 Glade Expressions Oil Diffuser for $5.99. 3.Buy 1 Glade Expressions Oil Diffuser Refill for $3.49. Van’s Waffles only $0.33 at Target with High Value Coupon! Free Market Pantry Pasta with 2 Ragu Pasta Sauce Purchase for $1.23 at Target!